The other day I was made aware that Dollar General was having a 50% off clearance sale. They didn’t have a ton but they did have an entire section full of odds and ends. I was able to score some fantastic deals! This sale was really good so we went to two different locations. When I tackle these stores I first look for coupons and their store app. More often than not their app holds coupons. Good ones at that. Dollar General and Dollar Tree take manufacturer coupons further maximizing your savings. For example: if Colgate toothpaste is on sale for $1.99 and their app has a .50 off coupon, you can use the $1 off manufacturer coupon that Colgate usually offers with the app coupon and pay $.49 plus tax. For me this is a “buy a case” price if I have enough coupons. I found an in store sale for scented unstoppables and other laundry crystals. 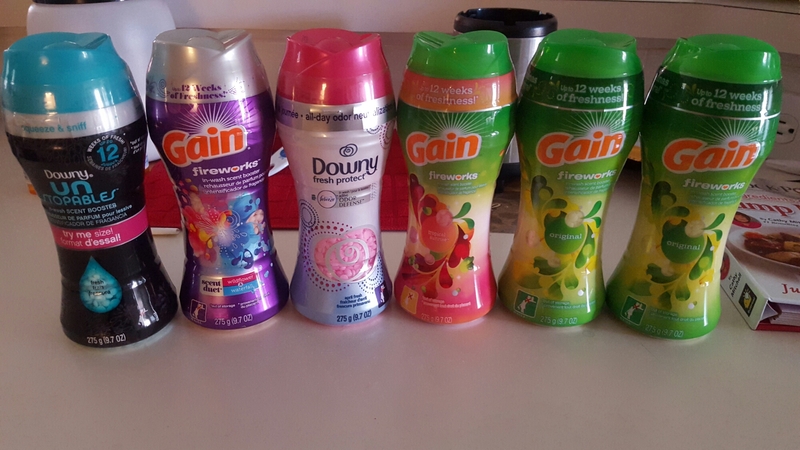 They had a variety of scents and we’re all 9.7oz. It was awesome! Buy 3 get $5 off. They were normally $5 each so ultimately I was buying 2 getting one free. Their app had $2 off coupon. I bought 6 for $30 total minus the $10 off and my coupon for $2 off. Total cost was $18! If you use my laundry detergent recipe you can melt these as you boil your mixture to scent your soap or used as directed. Babydoll loves flavored waters to use on the truck. They often range from .60 to .99 each. 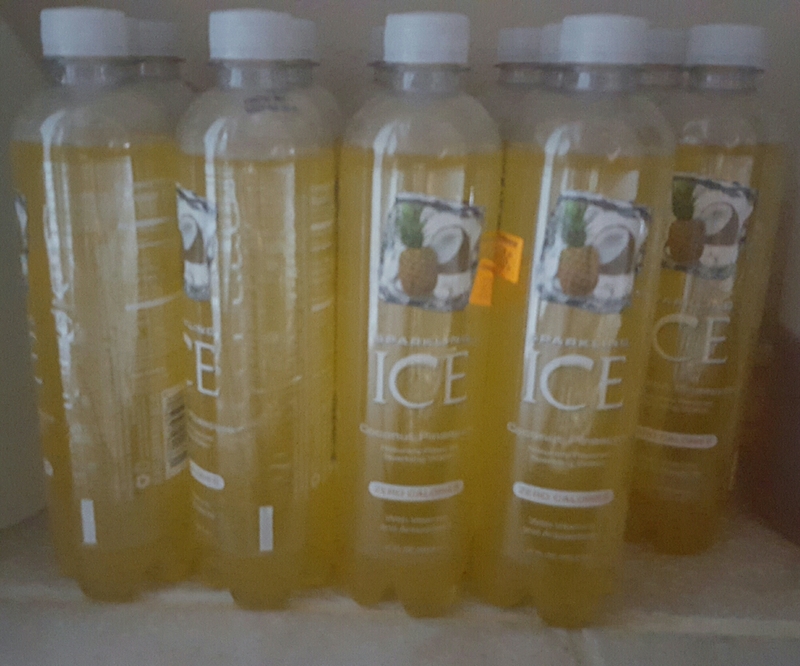 I bought 15 bottles on clearance for .99 each. With 50% off clearance they were .49 each. What I didn’t know is they were reduced further to .29 each! Kool aide 19oz powder mix was also on clearance marked down to $2.27 and also marked down further. I got 2 for $1 each. 50 ct Popsicles (old fashioned ones in a tube) were .30 each. I got 2 packages. By using their app, I got a $1 coupon just by signing up. What made me even happier was the fact that on my receipt I got a $5 my next purchase coupon plus I got a $5 my next purchase coupon link texted to my phone for this weekend. Oh I guess I’ll have to back hehe. Here are a few tips n tricks to save money on automobile maintenance and repairs. The best way to save is by price matching. Make a spreadsheet, a simple one will do or a piece of paper. List all of the local shops along with columns for services and price. Then call of the shops that you listed and ask them what prices they charge for certain services. The biggest question is if they price match and to what degree. Some will match up to a certain dollar amount, fully price match, or beat the lowest price by a small monetary number. Additional savings can also be found using the companys website coupons or coupons that come in regional mailers. Check to see if they accept online reservations or scheduling because often there is a small sweet incentive. For example my tires were an additional $5 off per tire with online appointment. Their website home page and inside lobby are areas they hide savings. Like joining their Facebook page for $5 off. Parts are always price gouged and its seen more and more everyday. Try choosing a mechanic that will accept you providing your own parts and just charge for labor. A great source for parts is a salvage auto yard. They simply collect wrecked cars and piece the good parts out for sale. I often scored parts off newer models than mine!! Lastly, try it the old fashioned way by buying the auto repair books you can find at Auto Zone or anywhere they sell parts. YouTube is great for smaller jobs like tail light bulbs or replacing a battery. Watch a tutorial and follow along. Pause and rewind as needed! I always shop for the best opportunities to save a dollar especially with online purchases. In doing this, I often save coupons most of which are online that either come to me via email or from subscriptions to site mailing lists that will give a coupon or money off of my first or next purchase. You can also wait until holidays. Many companies and online stores will offer free shipping on that holiday or around that holiday. 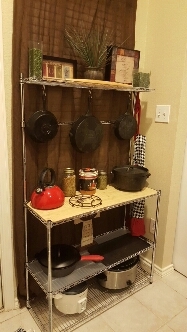 Recently, I bought a bakers rack to house my cast iron. I included a picture below!! I’m so happy at how it turned out and I got the idea off of the Cast Iron group I belong to on Facebook. This rack was $69 and had shipping around $30 or so because the box weighs about 33lbs. By waiting until Presidents Day to order, I got free shipping and had a $5 coupon I saved. I get free $5 coupons by taking surveys that my bank offers about my experiences about the branch I was most recently in. Always check to see if there are perks to doing surveys for the companies and or vendors you use regularly. This survey was for a $5 Amazon coupon. I ended up getting a $99 purchase for $64. 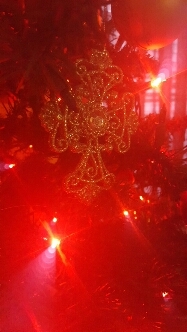 Merry Christmas Lovelies and God Bless Everyone. Let me start by saying I love coupons!! Don’t let the title fool you. But I only believe in certain types of coupons, not traditionally food coupons. I don’t coupon for many reasons. I think extreme couponing shows are absolutely ridiculous, rigged, and fake. No one can score those kind of deals without some higher power allowing them to do so or with the power of “help”. I’m sorry, but there is no such thing as “healthy” couponing. Most of the good, fresh, healthy foods do not need a coupon because the value is in the product. Coupons seem to be only available for junk food that will just add inches to my thighs, my behind, and we can’t have that now can we ladies!!! Not only that, is it not good for our children, my son being a severe ADHD and medicated cannot eat a lot of pre-packaged and processed foods. So this eliminates a lot of coupons for me right off the bat. Couponing also takes up a lot of time and energy that I just don’t have at the end of the day. I’m a working mom and have never been an at home mom, so my time is sparse and very limited. I use my time wisely and it definitely does not involve couponing, however I do coupon when I can as long as it’s effortless. Mailers: A good example is that I do browse through the envelope mailers that you get I think once a month called ValuPak. They are full of hundreds of coupons from local vendors and businesses in your area and often times it’s a new restaurant or a hair salon. You will often find really good deals in here but other than that it’s basically home improvement stuff and beauty regimens such as massages that I just don’t need. I often get coupons for $6 haircuts or BOGO at a restaurant in these. Community Boards: Often times there will be a community board that random customers can put coupons or even business cards with deals on them. Loyalty Cards: You can find business card trays that often have reward cards or buy 10 get 1 free they’re also called loyalty cards. I use these a lot for places I go quite frequently. I have one for Subway, hair cuts, Vitamin Store, and some mom and pop restaurants. Manufacturer Deals: I visit websites of manufacturers I DO buy from and see if they offer any coupons for the stuff we consume. I do not do this to “try” something as that sometimes leads to a waste of money. But I will keep on top of things I need and that we eat often. Jenny O Turkey is a great example! Service Coupons: I do this for every service related item that I need for things like oil changes, new tires, detailing, landscaping, etc. I will not pay full price for oil change or any service on my vehicle including tires unless I have a coupon to reduce my bottom line. Just last year I got a brake job done on my car, I replace the front brakes and with my coupon my front brakes only cost me $49 dollars because I went online to the website and downloaded the coupon. But there’s always a little catch. Don’t set yourself up for disappointment with online coupons because they often state stipulations in the fine print. My brake job deal of $49 was valid with an online appointment only. 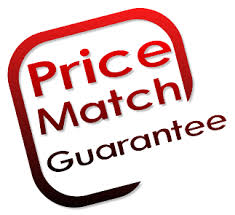 Price Matching: I will often price shop for things I want and seeming vehicle maintenance and repair are often “price matched” it isn’t really that hard. I make a spreadsheet using Excel of different automotive or service retailers or even electricians or whatever the job that you’re looking for maybe and I list them out. I call each one and ask them the price for getting that service done or obtain that item and if they will price match any of their competitors. Depending on these answers depends on which retailer gets my business. Now mind you, I will not go to a rinky dink store or go to the ghetto to get a service that I need or even go to a dump to get what I want. I am picky and I will go to name brand places like NTB, Just Brakes, Jiffy Lube, etc. I just choose which name brand wins my business. In Store Incentives: Look out for these! I’ve seen it become more and more popular with social media. I read flyers or look in the plastic holders within those businesses every time I go inside. They are often by the doorway or near the register. For example, I went to a Quick Kar to get an oil change one time and they had an 8 x 10 flyer at the register that stated if I joined email club and like their Facebook page I would get $5 off my oil change. So I did both got my oil changed and paid my bill saving $5. Reward Cards: ok, granted they clutter up your purse, but I simply have one key ring that I keep in the back zipper pouch of my pocketbook and it’s in the same spot every time. I use the CVS and Walgreens app on my phone to keep track of my reward cards. Often times you will receive free ExtraCare Bucks to use as “free” money towards your next purchase. Survey Panels: The CVS Panel is a great way to earn extra ExtraCare bucks. You earn them by simply taking surveys about their service, the facilities, their business practices, and their programs. Your opinion counts so why not get paid for it!! Just like the survey I took today on the program and my opinions regarding that program. At the end of the survey I got emailed a $5 ExtraCare buck coupon! Hello……..Free Money! So I do a lot of saving, leg work, but I will not sit endlessly clipping coupons for crap. I use them when I’m able, price match, use reward cards, in store incentives, and online surveys ONLY for things I use or places I shop frequently at. I earn my money and I work damn hard. So why not do a little extra to keep what you’ve worked for. Price gauging is becoming more and more popular these days as owners get cocky or greedy. I take control and I dictate where I go and from whom I purchase.